Speaking up for those in need. 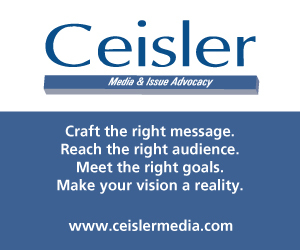 Candidates for the newly drawn 5th district released their first television ads of the general election cycle centering their message around championing those who need an advocate the most. 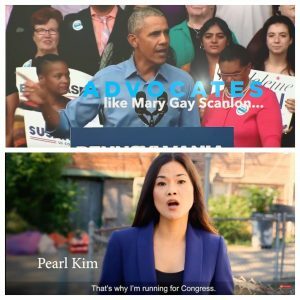 Republican Pearl Kim and Democrat Mary Gay Scanlon are going head to head for the open seat in the only Congressional race in Pennsylvania between two female candidates. Scanlon’s 15 second ad, “Advocate for Families” includes former President Barack Obama endorsing her at a campaign rally in Pennsylvania, followed by Scanlon echoing this message. “There are advocates who fight for Americans in need, like Mary Gay Scanlon,” Obama says starting the ad. “Mary Gay Scanlon, she’s spent a lifetime working to protect our families,” a voiceover says following Obama’s endorsement. The GOP candidate goes on to share her record as a prosecutor who took on causes standing up for the vulnerable. 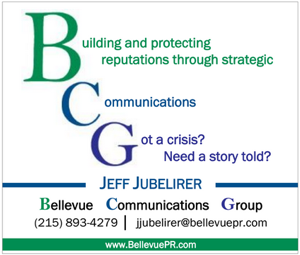 The newly drawn 5th district, mainly located in Delaware County, with a small fraction of Philadelphia, is much more Democratic friendly in comparison to the previous 7th district represented by former Rep. Pat Meehan (R-Delaware). Sec. Hillary Clinton won by nearly 30 points in the new boundaries, while Obama won the area by over 25 points in 2012. The Scanlon Ad is mostly about Obama. Not enough on her candidacy. Not a fan of 15 second spots for this reason. Both ads are quality. Isn’t it too bad that every campaign cannot show such class as these two candidates? Great ads on both accounts.